I, admittedly, do not know much about wild edibles. I am simply fascinated by the plethora of things growing either wild or left to go wild that can be put to use in the kitchen. Since I started putting a concerted effort towards learning about this way to look at food, I have developed a better understanding and appreciation for plants that grow where they want to. Growing up in the city, one very common weed that was seen as a nuisance- not as a food or medicine- was the dandelion. I have always admired them: growing everywhere, just begging for the attention that no one seems to want to give. It was once thought of as a common herb and used in a variety of ways in and out of the kitchen. As with the garlic mustard discussed last week, it too was brought over by European settlers. It is rich in many vitamins and minerals essential to the well-being of our bodies. Today, I take a very different approach to what are commonly considered weeds. As I walk on any piece of land, I now take the time to look down and admire all that grows at my feet; taking the time to appreciate the many gifts that are in danger of being forgotten. Dandelion greens make a nice addition to any salad. If you find them too bitter, you can simply cook them in boiling water to extract some of the bitterness, then use them as you would spinach or any other leafy green. The entire plant is edible from root to flower and its uses are many. While we wait for more spring vegetables, there are things that can be prepared which bridge the seasons quite well. The root vegetables stored over the winter can be turned into a soup accented by the bright flavours of early spring growth. A potato and wild garlic/onion soup with dandelion greens is a perfect example of this seasonal transition. Separate the white from the green of the onion. Cook white on medium heat in butter until soft. Add peeled and cut potatoes. Cover with water by about 1.5 times, bring to a boil, reduce heat, and simmer until potatoes are soft. Mash with a potato masher, being careful to not overwork the potatoes. Add some milk to make into more of a soup consistency. You can also simply adjust the consistency of soup with water. Add the greens from the wild onion/garlic. For the dandelion: Bring a pot of water to a boil. Cook dandelion for a minute. Remove, drain, and pat dry. Heat some butter on medium heat until it foams. 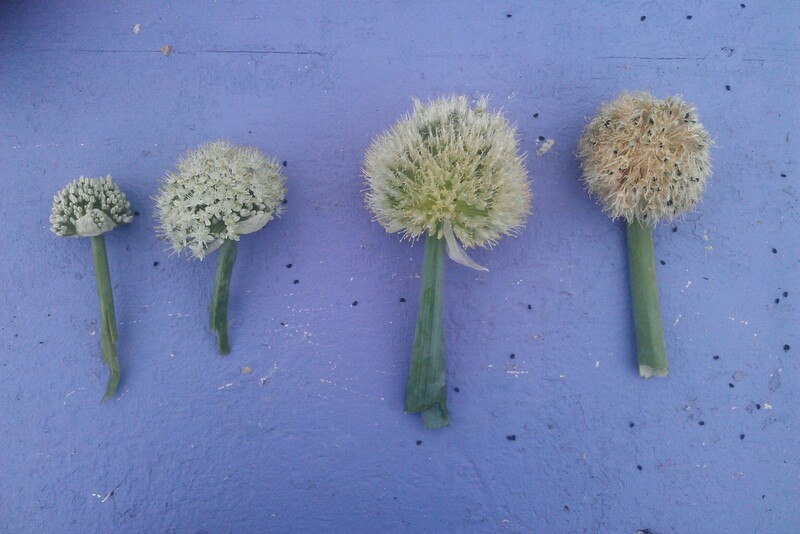 Cook the dandelions for a minute or two on medium heat. Season with salt. 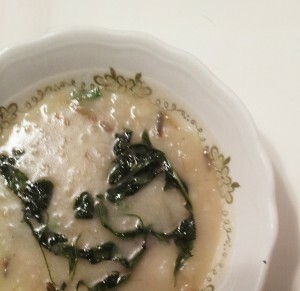 Garnish soup with the dandelion greens with the butter they were cooked in. Note: You may omit the onion if you have a lot of wild onion/garlic.